The photograph below is available as a wallpaper in Windows 10. Where was it taken? Hallstatt is a village in Austria's mountainous Salzkammergut region. 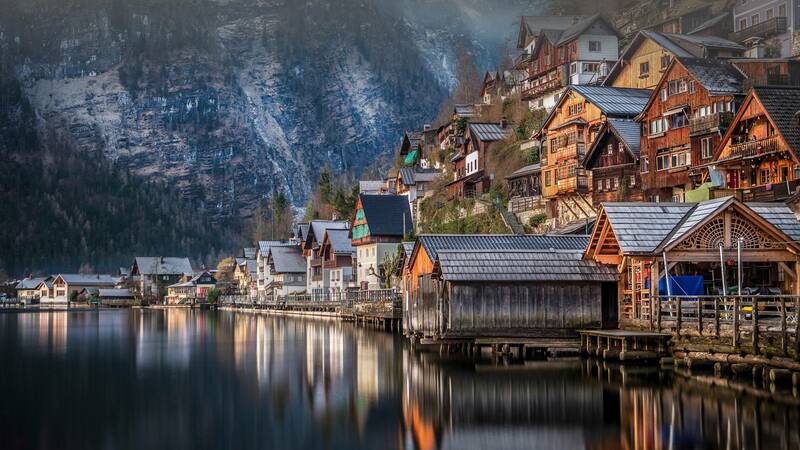 Its 16th-century Alpine houses and Gothic Catholic church sit on Lake Hallstatt's western shore. A funicular connects to Salzwelten, an ancient salt mine with a subterranean salt lake and multimedia presentations on the village's mining history. To the west, a trail leads to the Echern Valley with its glacial potholes and Waldbachstrub Waterfall. Not the answer you're looking for? Browse other questions tagged where-on-earth austria lock-screens or ask your own question.